For the second time, my blogs got an exposure in the mainstream media through PTV - People's Television. 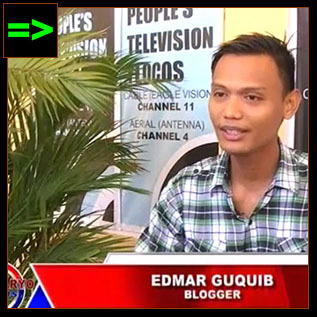 "For the second time, my blogs got an exposure in the mainstream media through PTV - People's Television." [TV APPEARANCE] ▬ PTV Ylocos Channel 4, a local franchise of PTV-4, the flagship television network owned by the Philippine Government broadcasting nationwide under the helm of the Presidential Communications Operations Office based in Quezon City, included my blogs in their line-up of news. 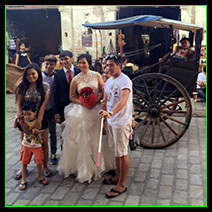 The local franchise is based in the Provincial Capitol in Vigan City. 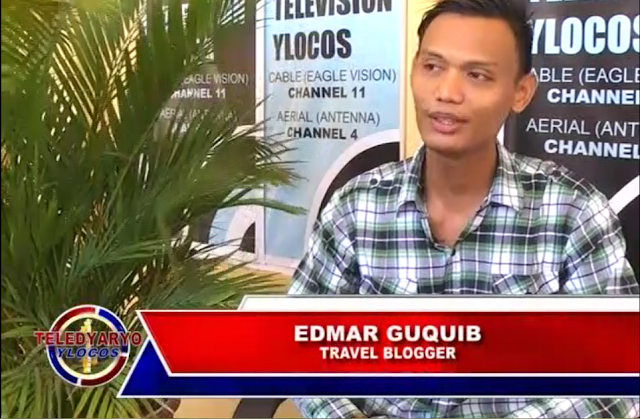 [TV APPEARANCE] ▬ THE TRAVEL BLOGGER TAG ON SCREEN. The screenshots above are from the video clip of PTV Ylocos Channel 4. It was aired in their local version of PTV's flagship news Teledyaryo. The news was reported by Seane Batin and was anchored by Michael Escobar. 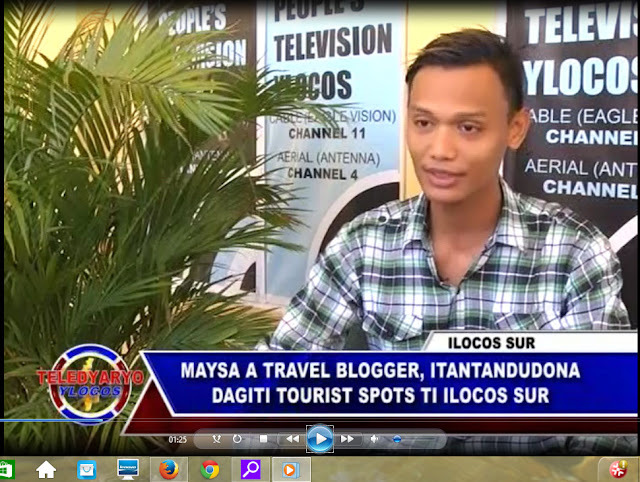 The news was in Ilocano. 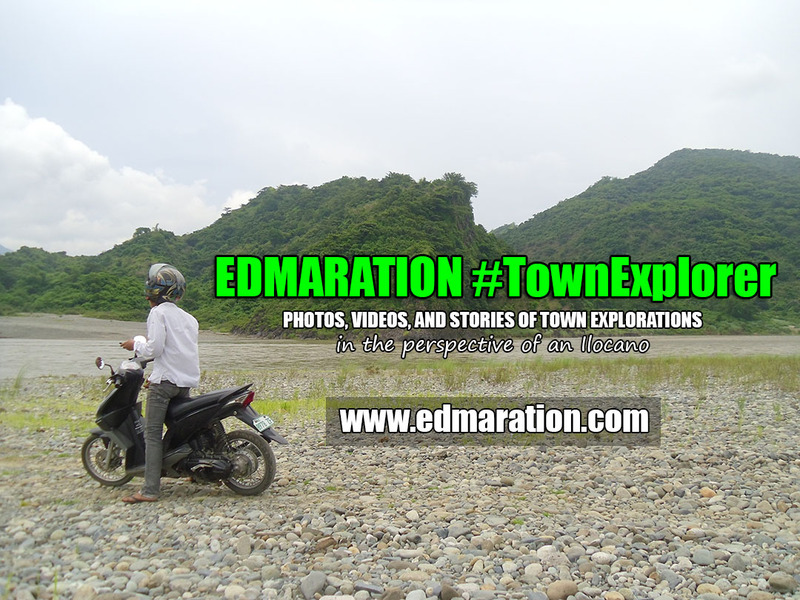 My two blogs were shown in the news—Explore Ilocos and EDMARATION #TownExplorer. 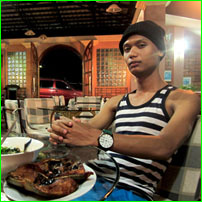 The former is the one I launched about 2 years ago dedicated for Ilocos travel, lifestyle and culture. My target audience for that blog are the Ilocanos especially those who are living abroad or living/working outside Ilocos. I put up that blog with the purpose to unite all Ilocanos everywhere in the blogosphere and inform them the latest trends of the place where they grew up in terms of lifestyle and culture. 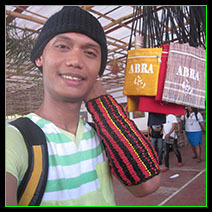 My ultimate goal is to transform that blog into an online community of Ilocanos from all over the world. 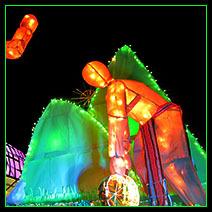 My latter blog is a travel blog I launched in February 2011. My early articles in that blog were all about Ilocos but it expanded eventually when I started traveling all over the Philippines from Luzon, Visayas and Mindanao. 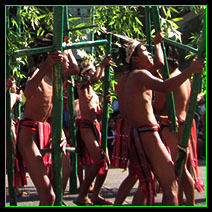 However, if you are a regular follower of edmaration.com, you'll notice that I don't have articles about Mindanao and I have few about Visayas. 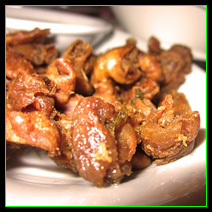 The reason is, I still want to focus in Northern Luzon especially Ilocos. But since I've already put-up my exploreilocos.com, I've started writing about places outside Ilocos but I'm doing it gradually. 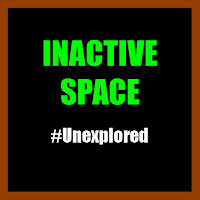 First in Northern Luzon then my travels and adventures in Visayas and Mindanao will follow. I learned that someone from PTV Ylocos stumbled upon my blog. After that, I received an invitation from the TV Network if I am willing to be interviewed. I didn't hesitate to say yes. I am their featured guest for their program "Ilocano Achiever" which features exceptional Ilocanos who've contributed something in the society on their own way. 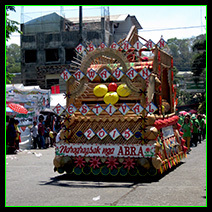 On my part, I've been advocating for heritage preservation and tourism in Ilocos Sur through my blog. To my surprise, aside from the said TV program I mentioned above, their field reporter who interviewed me made a story from our conversation so it was included in their line-up of news that day. 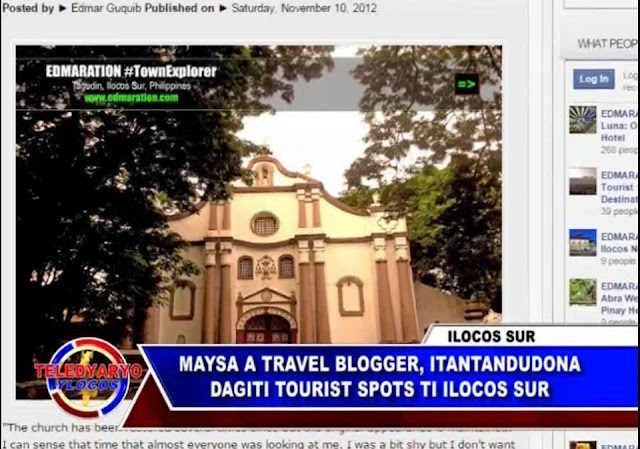 The news title says: "Maysa a Travel Blogger, Itantandudona Dagiti Tourist Spots ti Ilocos Sur: which means "A Travel Blogger Promotes/Takes Pride of the Tourist Spots of Ilocos Sur." Below is the clip courtesy of PTV Ylocos Channel 4. The translation is written below the video. 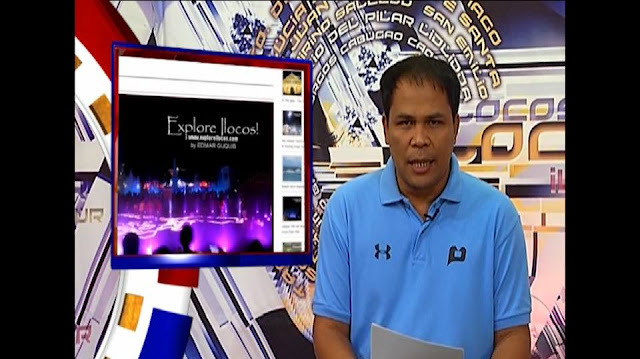 ANCHOR - MICHAEL ESCOBAR: A travel blogger from Vigan prioritizes the promotion of the beautiful destinations in the province of Ilocos Sur as well as in the neighboring provinces. Seane Batin for the report. 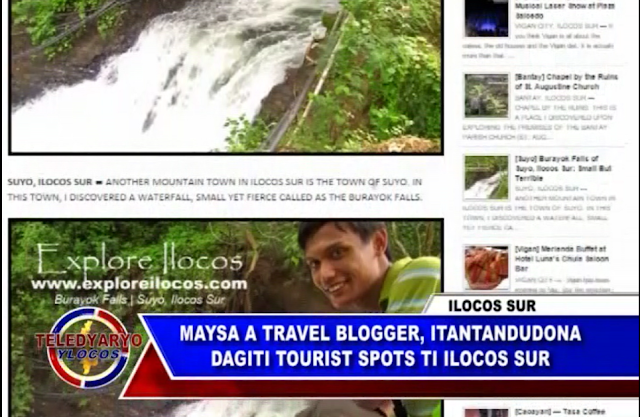 REPORTER - SEANE BATIN: A travel blogger takes pride of the beautiful province of Ilocos Sur because of the exceptional view of the tourist destinations of each municipality. There are paradise-like beaches, pleasing rivers and waterfalls of the upland municipalities and the kindness of the people of Ilocos Sur. 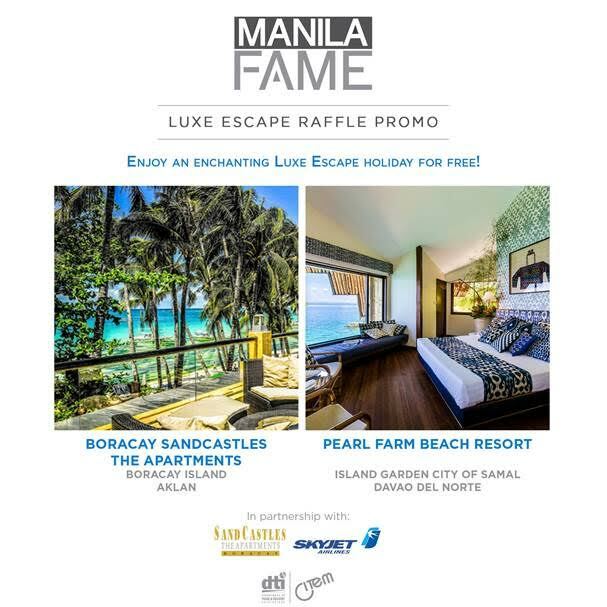 According to Edmar Guquib, he has chosen to promote the place where he grew up because he knows that there are many places in Ilocos Sur that are as good as (or better than) the tourist destinations of the other provinces. ME - EDMAR GUQUIB: Here in Ilocos Sur, it is really different [because the community has a participation in the promotion of tourism.] The community is aware of their heritage. They know that their heritage and culture are their asset. 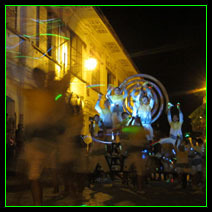 That's why it is not just a simple tourist destination... the tourist destinations that you see around are part of the life of every Ilocano and Ilocos Sur residents. 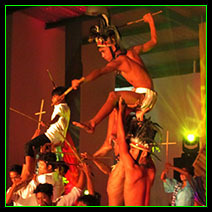 It's part of our daily living so it is really hard to take away from them... from us, Ilocanos. The news clip uploaded herein is from PTV Ylocos Channel 4. I do not own the video. The news herein is just an excerpt from the whole interview that will be aired in a separate program called "Ilocano Achiever" also in PTV. TEASER ► This is my 3rd TV appearance this year and my 2nd in Teledyaryo. Ibang level na to. mag papaautograph kami sayo Koya pag nagawi kami sa Vigan.